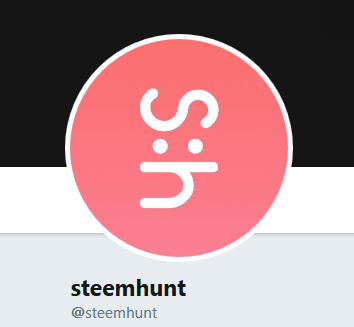 Open source projects rely greatly to the community for support & communication and many of the projects that are already on the steem blockchain use also the traditional social media platforms for shedding light about their activities to the world. In an effort to bring open source projects closer to people who may (or may not) know much about blockchain based projects or about open source philosophy, I will be posting some useful information on how to present a project to the most popular social media platforms. 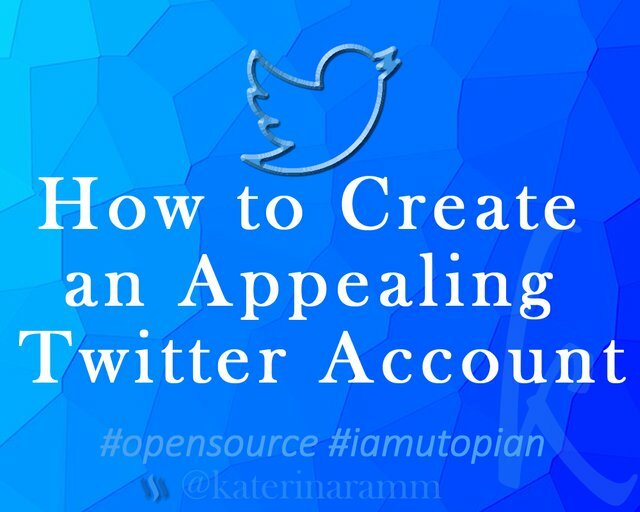 In this post I will be sharing information about how to create an appealing twitter account. Ideally, your twitter name should be the same as your Instagram name. The reason? Sometimes users tend to post from Instagram to twitter and in case they mention your account on Instagram, it will be also mentioned on twitter. Use this site to check the availability for a given username in more than 50 social media channels. This would be your logo. The twitter profile is round, so make sure that the logo appears as a whole image and with a good analysis. If you do not have a logo, you can use this template to create a Utopian Task Request! Your header image needs to be clear, it needs to be smart, it needs to tell a story with a short, to-the-point caption. It will be the first impression of your project to someone who visits your twitter account. You need to stand out and create interest to the visitor. Dimensions: Twitter recommends 1500px x 500 px cover image. However top and bottom are cropped off so I found that an approximate size of 1660 x 461 will appear great. Make sure you check out also the mobile version of your twitter. Many users use the mobile app to tweet and explore. Keep it short, concise, to the point and ideally include your hashtag! Twitter limits to 160 (!) the number of characters in your twitter bio. This means that you should find one or two short sentences to describe what your project is about. Ideally if there is enough space do include a short call to action and a hashtag. When was the last time you checked your twitter appearance, changed your photo, included a contest / giveaway / news update at your cover image or bio? If you do not often review your accounts, create a procedure for whoever manages your social media to check their appearance on a biweekly or monthly basis. Do you have a website? Even if not, you certainly have a github account. Make sure you include your social media channels. I find myself often checking out a Facebook page or twitter account when I am interested in a project. That helps me to see their character, updates, news and activities in only a few seconds! 7. Last But Not Least: Listen. Engage. Follow Back. When you have a channel for your project, it is good to give it a voice. A voice to inform users of your existence, your message, your product. Your when, how and why. If you are active at a channel people might reply, mention, or follow your account. My recommendation is to listen and engage with them. Interact and follow back at least some of the accounts following. This shows appreciation and interest. Do not hesitate to use tools for unfollowing dead or inactive accounts. 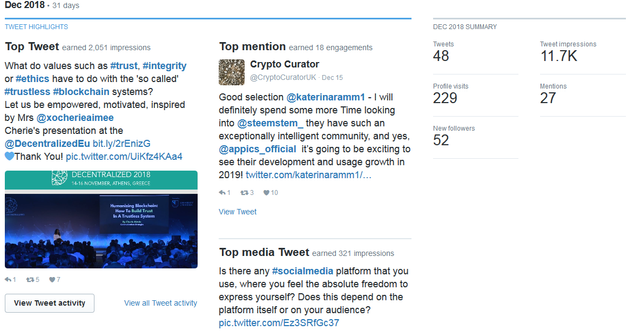 Bonus Tip Visit https://analytics.twitter.com and turn them on to see the statistics of your tweets, the reach, engagement and more! You can use the below websites to check the popularity of certain hashtags. By using this website you can check out the recent popular tags and their definition, add a definition or enter a tag to find out what it means. Visit this website to find similar tags, using specific keywords. Wow! This post is a collection of useful information on how to set a Twitter account. Twitter is one of the better brand platforms for advert/marketing. It is great that you set up information like this for current and potential Open source marketers. Though the post contains some basic information about Twitter. However, the tools you provided makes the information more useful. The post is informative and highly educative. But, there were a few issues with your texts. Grammarly could help solve some of those issues. I'd recommend the paid version to improve your texts. 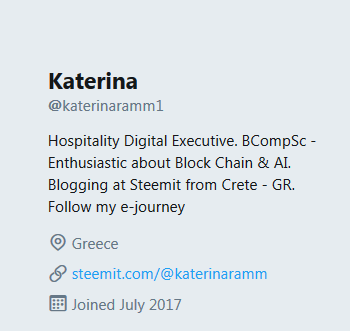 Next to Steemit, my favorite platform. Can't overemphasize the importance of hashtags. 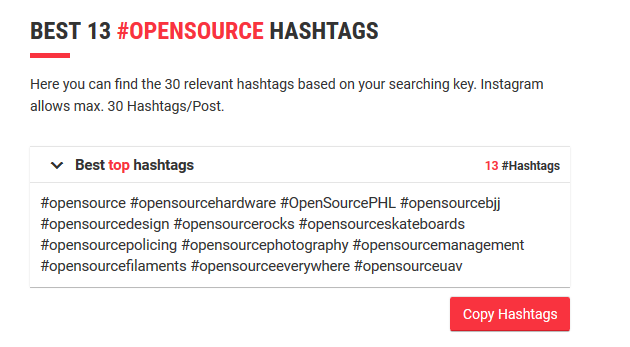 Unlike Steemit, you're not limited to five tags, although excessive use can lead to hashtag fatigue, where your main focus gets lost. Also, engage about stuff that genuinely interests you. You can always include promotional material, in other tweets. However, I think you build and keep a following by engaging with people who share your interests.